The focus of the Additive Manufacturing and Welding Cluster is primarily directed toward the influence of weld thermal- mechanical cycles on the structure and properties of materials. The long-term aim is to develop sufficient understanding of the underlying material and process physics to predict the response of a material to welding operations. Advanced high-strength steels (AHSS) developed primarily for the automotive industry, meet many functional requirements such as strength, ductility, toughness and fatigue properties. However, the need for higher alloying elements to produce multiphase microstructures renders some of these steels susceptible to weld solidification cracking. 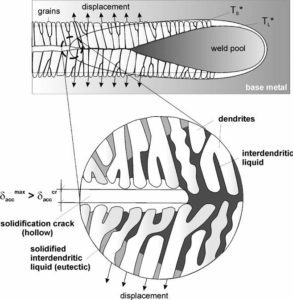 Susceptibility to weld solidification cracking in dual phase (DP) and transformation induced plasticity (TRIP) steel sheet is studied using laser bead-on plate welding. at the design stage of new steels. 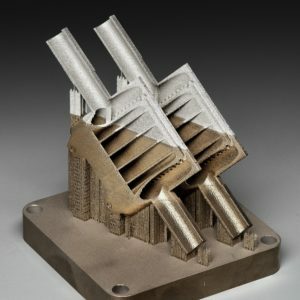 Additive manufacturing has become increasingly popular because it enables the production of complex parts which cannot be manufactured by conventional production methods. Unfortunately, additive manufacturing also has some design limitations, one of which is the overhang limitation. Because additive manufacturing builds a product layer upon layer, there should be sufficient support between the layers. 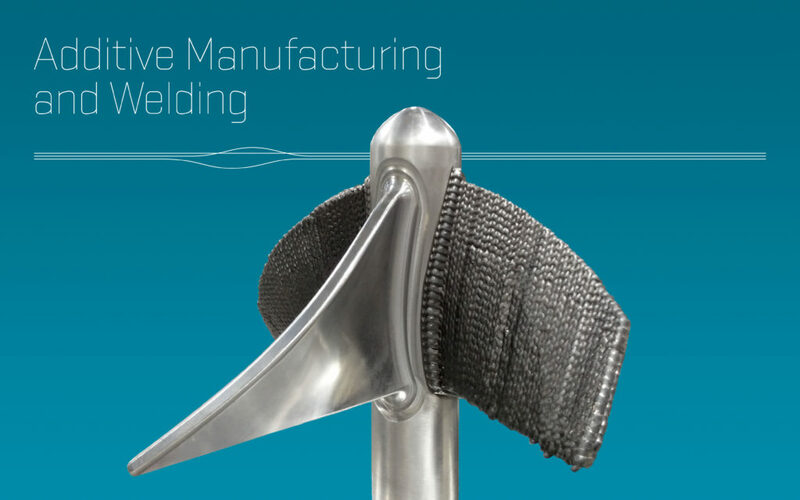 The objective of this project is to enable high-precision Additive Manufacturing (AM) by addressing both product- and process-related challenges in an integrated solution. The research is focused on developing numerical analysis tools which can predict residual stresses and distortions at the level of an entire AM product and Topology Optimization (TO) techniques which rigorously account for both manufacturability and AM-induced performance aspects. The result will be an integrated tool for topology optimization, where constraints on product geometry and product performance can systematically be taken into account. For more information about our Additive Manufacturing and Welding Cluster, please contact Viktoria Savran.